Hartford, CT – Concord was a sponsor for the “2nd Annual Women’s Networking Evening” held by The CoreNet Global Connecticut/Westchester chapter and Crew CT – The Real Estate Exchange on the evening of April 17, 2018. The event took place in the conference space at the new Bone & Joint Institute Ambulatory Services Building (“BJI ASB”) located on the Hartford Hospital campus in Hartford, Connecticut. 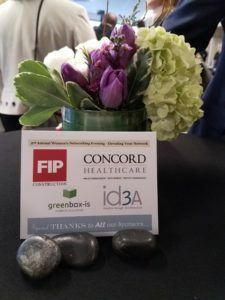 Concord is not only proud to have been a sponsor for this event, but also to have been a part of the development of this state-of-the-art facility.